In late October of an election year, we’re all bound to get in some type of political debate, disagree with one of our friends or argue with Uncle Dave on Facebook. Especially when it’s done the way we saw last weekend from the Pioneers. 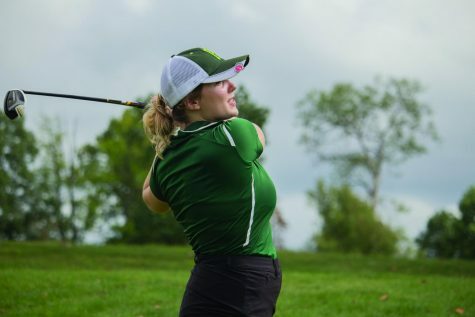 Conference tournament season is right around the corner and Point Park couldn’t have asked its fall sports teams to prepare for the playoffs with a better weekend. Point Park may as well put its logo on the floor of Carlow University’s St. Joseph’s Hall after last weekend. Holy cow. Nikki Inquartano kicked off the block party Thursday night as she padded her River States Conference (RSC) lead in blocks with ten total to help the Pioneers cruise to a three set victory against the Celtics. Point Park opened the match with a 25-5 victory in set one, the most lopsided win in a set for Point Park since Sept. 12, 2014 when it defeated Alice Lloyd 25-3 in the opening set of a three-set sweep. The Pioneers went on to win sets two and three 26-24 and 25-18, improving to 10-1 in RSC play. Point Park went back to Carlow Saturday for a pair of neutral site matches against Brescia (Ky.) and Indiana University Southeast. Brescia fell to Point Park in the first game for the Pioneers on the afternoon in three sets. A battle for the overall RSC lead followed. IU Southeast entered the match 10-1 as the top team in the RSC West division, while Point Park sat atop the RSC East at 11-1. And boy oh boy, talk about home away from home. The balcony surrounding St. Joseph’s Hall was packed with other Point Park athletes cheering on their fellow Pioneers. The Grenadiers and Hannah Baker, a four-time RSC Setter of the Week in 2016, had no answer for Point Park. The Pioneers rolled to a four-set victory and now control their own destiny to a national tournament berth. If Point Park wins the regular season crown, it secures an automatic bid to the NAIA National Volleyball Tournament for the third straight year. This team was trying to bounce back from a tough 2-1 loss at home against Ohio Christian last Saturday when it traveled to West Virginia Tech Thursday and Rio Grande Saturday. The OCU lost dropped Point Park to 3-2 in RSC play, making last weekend that much more important. 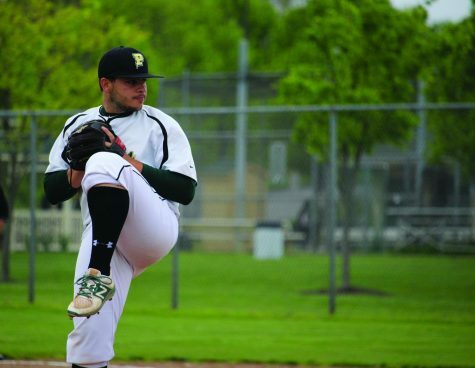 With home field advantage in the playoffs on the line, Point Park took care of business last weekend. Even more impressively, they did it on the road. Behind Izzy Hunter’s two late goals , Point Park took down WVU Tech 4-2 to improve to 3-0 in RSC road contests. Point Park led 2-0 through 70 minutes, but then WVU Tech scored twice in three minutes to tie the game. Hunter’s goals came shortly afterwards with tallies in the 74th and 78th minutes. Rebecca Cohen continued her strong freshman season in net with five saves. 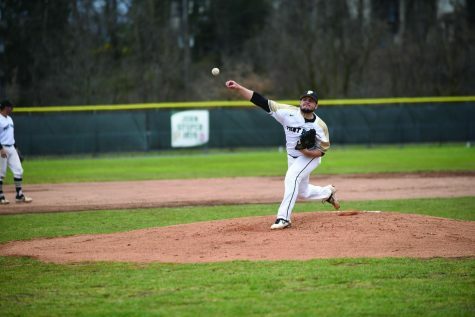 Cohen didn’t skip a beat with the one-day rest, tossing a shutout in Saturday’s 1-0 victory over Rio Grande. Point Park now sits at 5-2 in the RSC with one more RSC contest left against Carlow Saturday. Both cross country teams took the race course at the Lebanon Valley College Last Chance Meet Friday in the last meet of the season before the RSC Championship. Both teams took first-place crowns and both races saw a Point Park runner cross the finish line first. 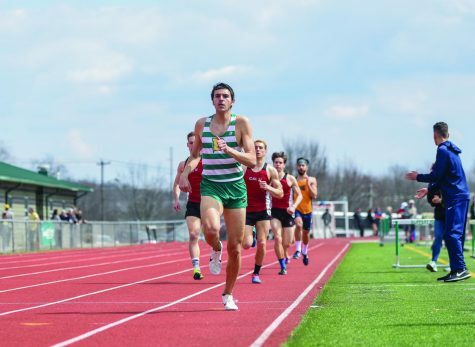 Sean Hilverding led the way for Point Park in the 8,000 meters with his time of 27 minutes, 27.9 seconds, 16 seconds ahead of the second place finisher. 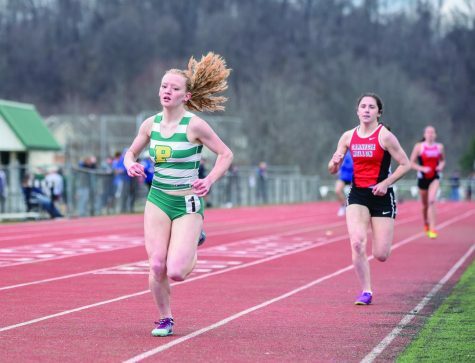 Point Park had three runners in the top six. 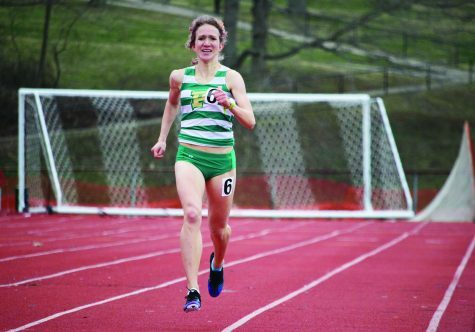 Jenny Murtha led the women in the 6,000 meters, with her time of 23 minutes, 50.4 seconds. Anna Shields followed 24 seconds later to finish in second place at the meet. Point Park had three finishers in the top four. Granted Point Park’s competition wasn’t the toughest they’ve ran against all year, facing schools like Lebanon Valley College and Wilkes University, but it was a nice chance to boost some morale and see where different runners are at this late in the season. 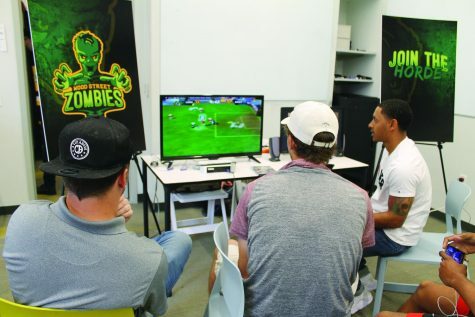 There was only one piece missing from the winning weekend: the men’s soccer team. The Pioneers had the toughest task of taking on two top-13-ranked teams in WVU Tech and Rio Grande on the road. Point Park held with WVU Tech Thursday, falling 2-1 to the Golden Bears. Rejep Mukhammedov scored in the 50th minute to give the Pioneers a 1-0 lead, but WVU Tech tied the contest in the 79th minute and scored the game-winner with 84 seconds remaining. 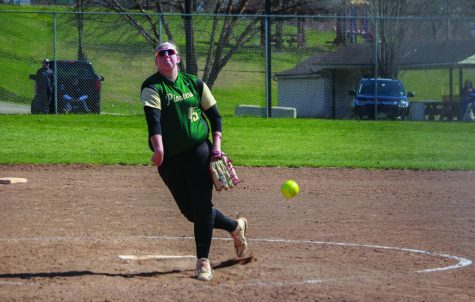 Point Park followed its 2-1 loss at WVU Tech with a 5-0 loss at Rio Grande. 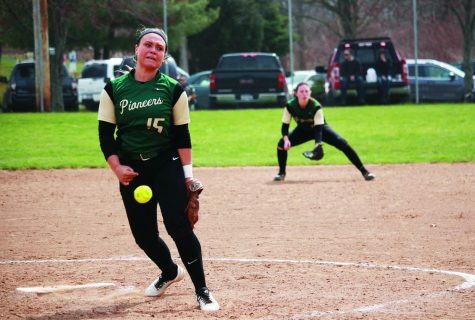 After a pair of losses, Point Park’s last conference contest Saturday at Carlow is a must-win. The Pioneers also needs help from the teams above them in the conference to have a chance at the sixth and final playoff spot. 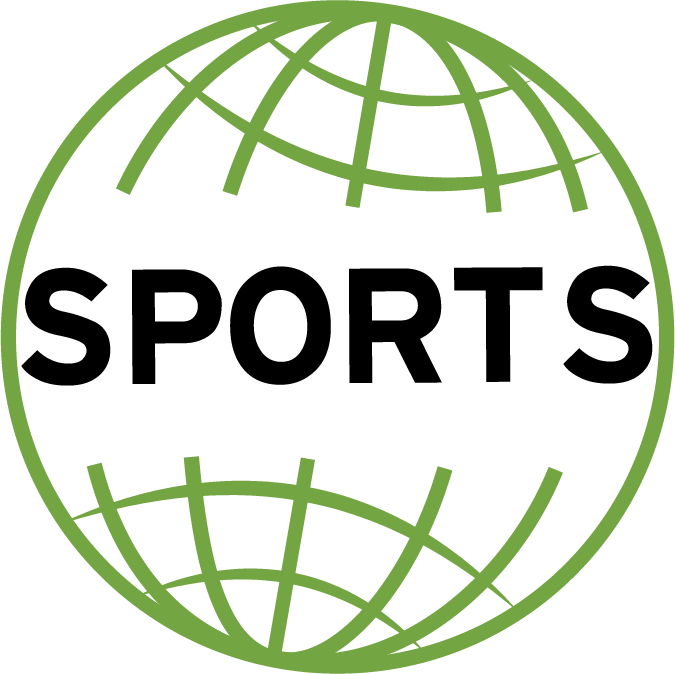 Even with the men’s soccer team’s disappointing losses, Point Park sports fans have a lot to look forward to in the coming weeks with conference tournament time on the horizon.